These beauties came in my life the other day, and I must attend to them. I will be coming back to post about how I've prepared them! Do you get quinces in your parts? If you are local, there is a wonderful small orchard overlooking the Hudson river in Milton that has an orchard of old quince trees, among many others things. 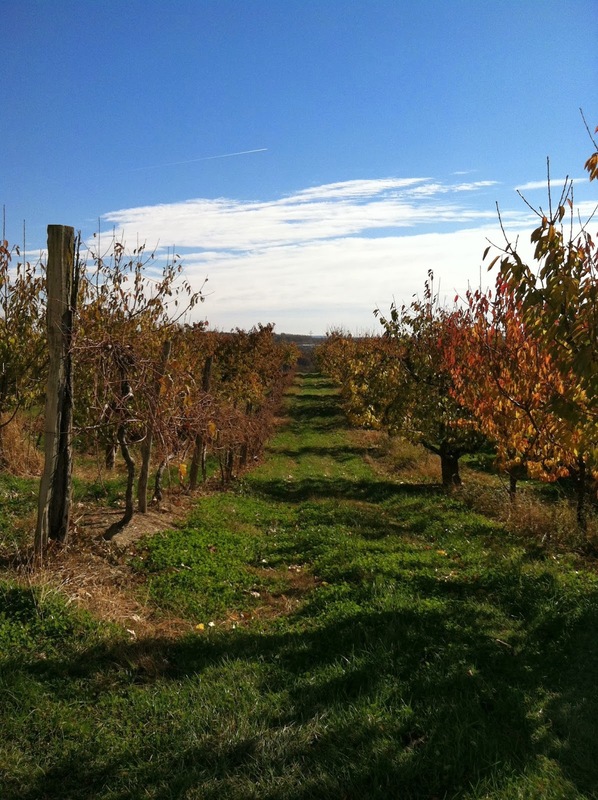 They are called Locust Grove Fruit Farm. They also sell at Union Square Market, and have been for 35 years! I hope you get some of their gorgeous quinces before they are all gone. I got my quinces already! Some I poached and ate with yogurt, some went into a delicious hot lamb and quince salad, and the rest I pickled. I plan to eat those with a grilled ham steak later this winter. A couple were green and ended up getting soft with black spots rather than ripening properly. Why? I think I need to plant my own quince tree. 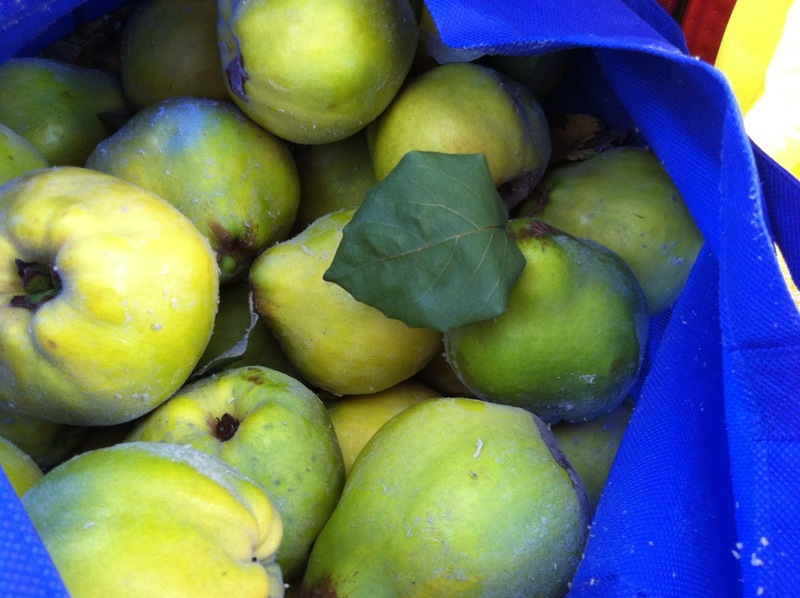 Do you know what variety of quince you got from the farm, or what kind(s) they grow? I'm in Madison, WI and our climate is fairly similar to yours. Nicole, thank you for letting me know! 15 lbs. is a lot! Don't they smell so very good? And thanks for the tip on the microwave. I'll have to try it. The variety I get are Orange. And I now have two of them growing in my yard for two years now. But still: no quinces!